Companies interested in manufacturing or marketing the "Video Enhanced Gravemarker" should contact Robert Barrows, President of R.M. 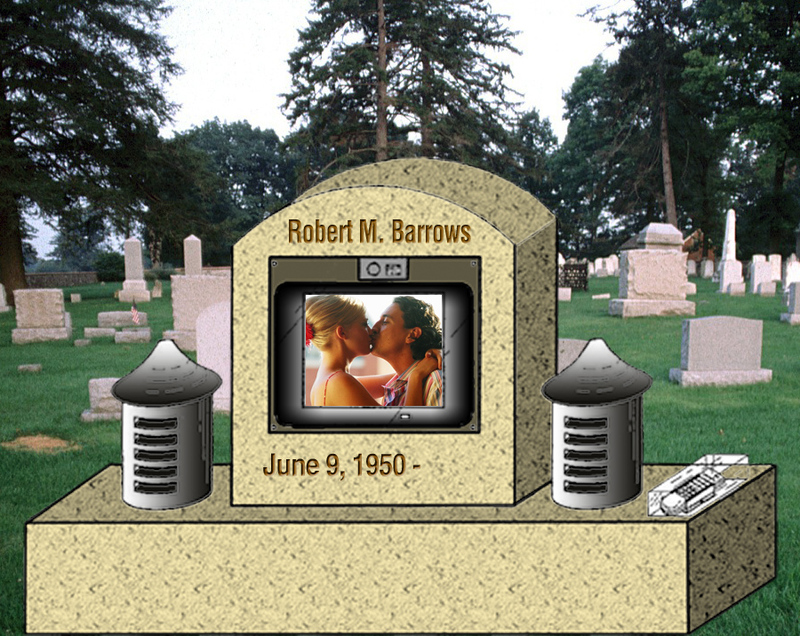 Barrows, Inc. Advertising and Public Relations, in San Mateo, California, USA at 650-344-4405.
told from beyond the grave, through video-tombstones. Publishers, literary agents and producers may contact Robert Barrows to request a copy of the manuscript. To contact me by phone, call 650-344-4405.